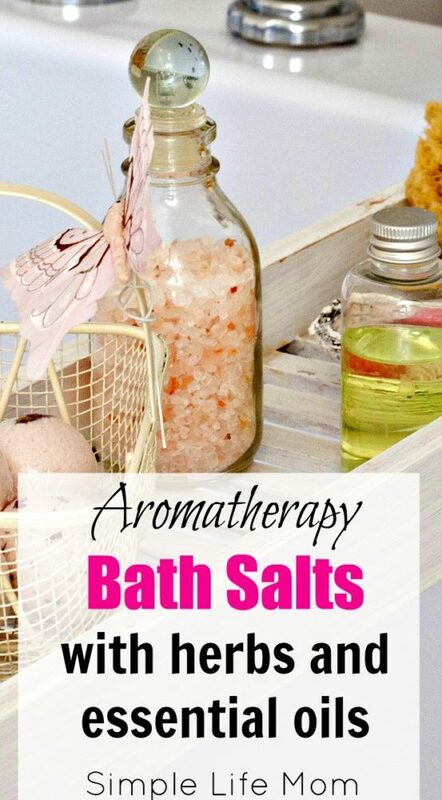 Aromatherapy Bath Salts are not just for special occasions. The minerals in the salts, as well as the scents that essential oils give us, create an aromatherapy experience while nourishing our body. Bath salts with Magnesium and Baking soda have a lot of wonderful properties that our bodies need. When you add essential oils, you end up with something you can say you “need” and not just “want”. For example, Magnesium is a mineral that our bodies need to function. Our nervous system will not function properly without magnesium. It is found naturally in the soil and is absorbed by plants that we eat. The problem arises when soils are depleted of minerals from overuse of fields and lack of crop rotation. Most farmers will add potassium, nitrate, and phosphate, but what about all the other minerals that our bodies need? This lack of magnesium results in headaches, muscle aches, fatigue and much more. It is one of the reasons that I suffered with migraines for many years. One way we can help replenish magnesium in our bodies is through Epsom salts in bath water. Your skin, the largest organ in your body, will absorb it, which is why many people put it in their children’s bath tubs regularly. Baking soda is also good in baths as it kills bacteria and will soften the water, helping to cleanse the body of dirt and excess oils. Essential Oils have many wonderful properties. One of those is aromatherapy. Essential oils can be calming, exciting, relieve stress, relieve headaches, soothe aching joints and muscles, and put us in a right mindset to get us ready for bed in the evening, or even get us ready for the day in the morning. Remember that essential oils are ultra concentrated oils from plants. They are not found in concentrated form in nature. 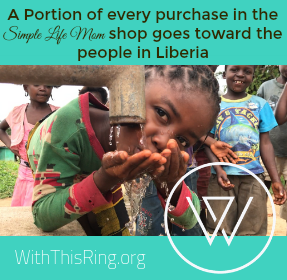 A little bit goes a very long way. Choose one or two of the following and make your favorite blend. Ylang Ylang – I love the scent of ylang ylang. It is floral, but more exotic than average florals. Many, including myself, feel that it is very uplifting and calming. Lavender – Lavender is a very mild and gentle essential oil and is considered safe to use with children. Frankincense– Frankincense is calming, centering, and is a natural anti-inflammatory. 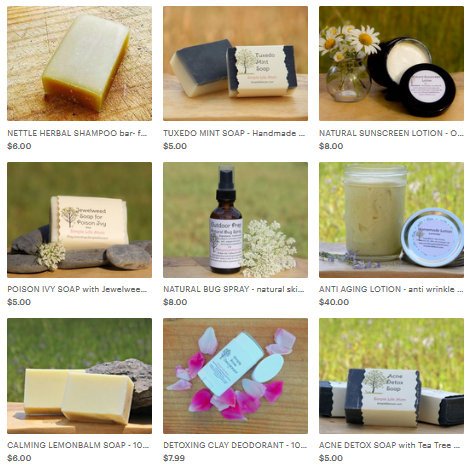 Lemon, Orange, Bergamot – Citrus oils can be invigorating, making them great for morning baths. Cedarwood – Cedarwood is antifungal, so it is a wonderful addition to bath salts. It is also helpful in aiding concentration, calming for the skin, and is anti-inflammatory. Patchouli – Patchouli is used to counter anxiety because it is very calming. I’ve included my favorite essential oil blend in the recipe below. Feel free to try your own blends. Combine all ingredients in a air tight container. After running a warm bath, pour 1 cup into your bath and stir with your hand. 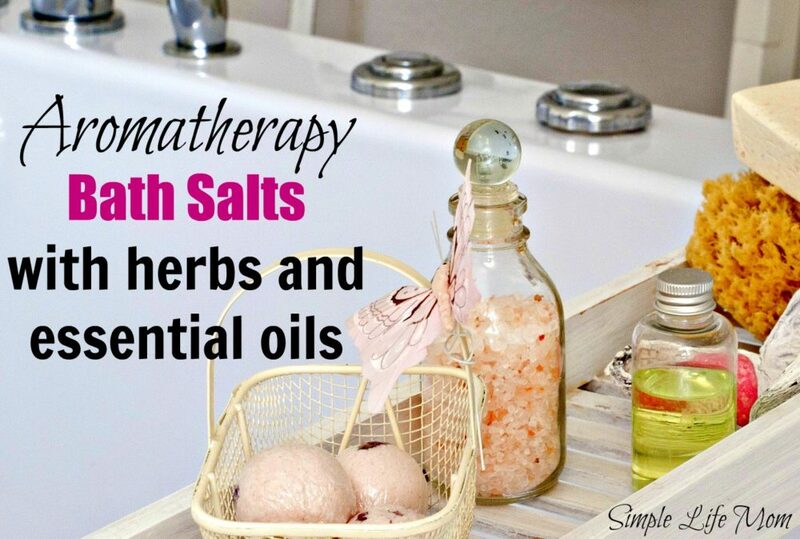 What’s your favorite blend of herbs and oils to use with aromatherapy bath salts? I love your blog! This is great!